The sacroiliac joints, also known as SI joints, are the joints between the sacrum (the triangular wedge of bone that your spinal column sits on) and the ilia (the large pelvic bones). To locate the joints, feel the bottom of your back at about belt level, and then move your fingers several centimetres to the side and you will feel bony bumps. The joints are under those bumps. Sacroiliac joint subluxations are commonly seen in the practices of chiropractors. ‘Subluxation’ means joint dysfunction, that is, the joint is not working properly. It can be hypomobile (that is, too tight, locked or restricted) or hypermobile (that is, too loose), which negatively affects spinal function due the influence of this joint on the nervous system. Both sacroiliac joints should work together, however, if one or both becomes damaged due to ongoing physical stress or injury, they will not move together and this can eventually cause pain and muscle spasm in the area. Sacroiliac joint subluxations may cause pain right over the joint (you can put your fingertip on it), in the buttock muscles around it, in the groin, down the leg, and/or in the lower back. Generally, someone suffering from the effects of a sacroiliac joint subluxation will have pain when arising from sitting, turning over in bed, walking and bending. The pain will often ease when the person sits or lies down. 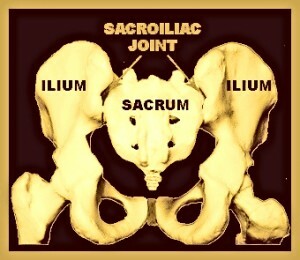 As your Canberra chiropractor, I will analyse your spine and pelvis to determine if indeed you have a sacroiliac joint subluxation. Specific chiropractic adjustments to the affected joint(s) will restore proper alignment and function, and therefore reduce/eliminate the pain.